I went back to Fantasy Island this evening. It could not be helped! ... you are just sitting there going, la la la la la la la. I was thinking, my little niece and nephew love me because I am the queen of excess. 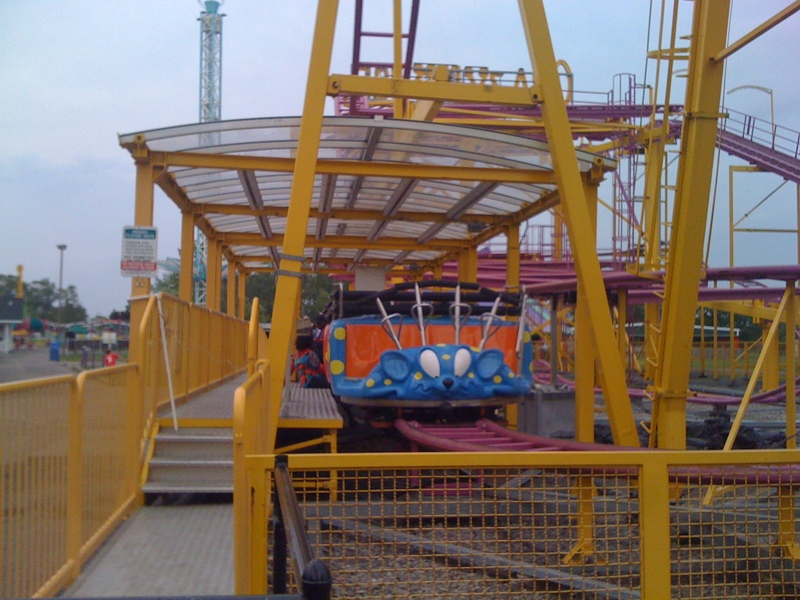 Leonard Pennario loved amusement parks and so do I. I will ride the Wild Mouse, or the Crazy Mouse as it is called at Fantasy Island, 20 times in a row. I will ride the Toilet Bowl 50 times. We did that last time, honest. The attendant could not believe it. He said, "How do the two of you run up those stairs 50 times?" That was me and my niece Barbara. We would have done that today except it started to rain. Plus all day long it is fun to hear these kids just talking. 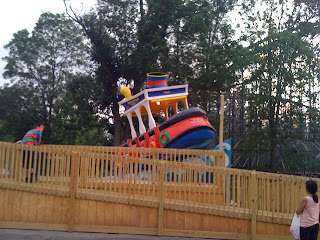 There was a family from India on this one ride, the Rockin' Tugboat, I think it is. It is new! 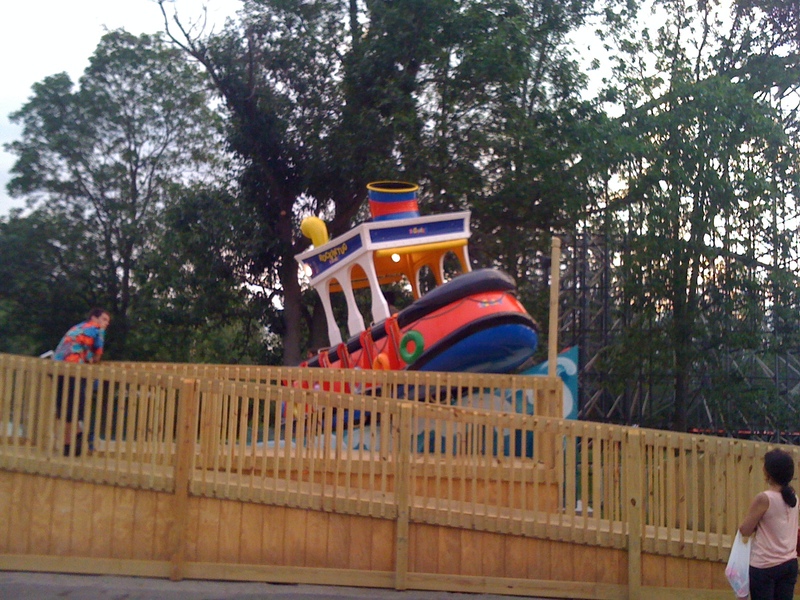 This stolid little boy from this Indian family got on the ride and asked solemnly, "Where does this ride go?" 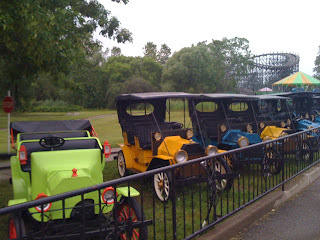 The little boy, in his Indian accent, repeated: "Where does this ride go?" 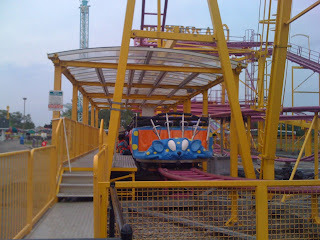 The attendant, rolling his eyes, makes a U-shaped, swinging motion with his finger. Then everyone gets the joke, including the little boy. We all settle in and the ride gets rolling. After a day there, you have lived!